Do you ever wake up in the morning with an idea that demands your attention? That happened to me yesterday. So I grabbed this pile of hand dyed fabrics. I can hear the collective gasp, yes, I used a pattern! 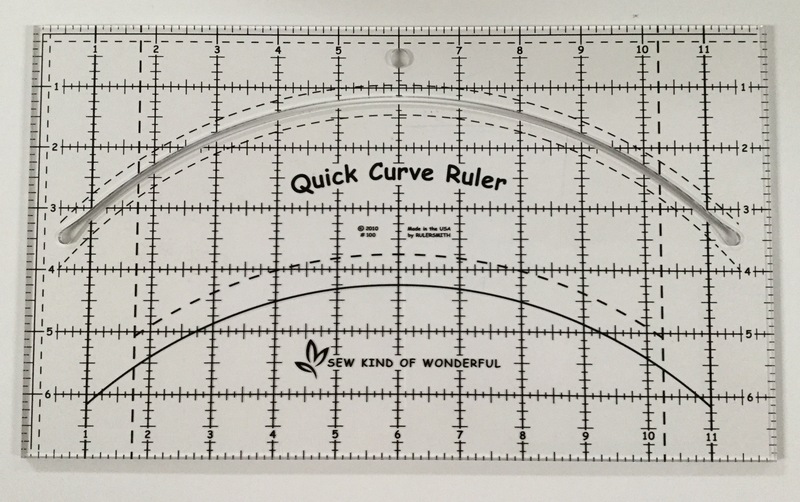 You kind of have to with this ruler. Both are from Jenny Petigo and the team at Sew Kind of Wonderful. These patterns require sewing and trimming. I had to do more trimming than normal because I cut my corner triangles too big. I had to use my die cutter somewhere! I’m not gonna lie, there is a learning curve here (I love puns!). My hand dyed fabric starts out as Kona PFD and it is a bit beefier than regular quilting cotton. I think this made my curves a bit trickier to sew. And I surely need more practice. You can see here that things didn’t always line up as they should! However, using the same fabric in all the corner triangles disguises this a bit. I didn’t do it for that reason, but it seemed to really help. Want me to let you in on a dirty little secret? Yep, I used white thread for the whole thing because I was too lazy to change the thread in my machine. And here is my finished table runner top! I can’t wait to play with the quilting! This entry was posted in Hand Dyed Fabric, Uncategorized. Bookmark the permalink. 10 Responses to Learning Something New! Looks great. I’ve been toying with trying this ruler. 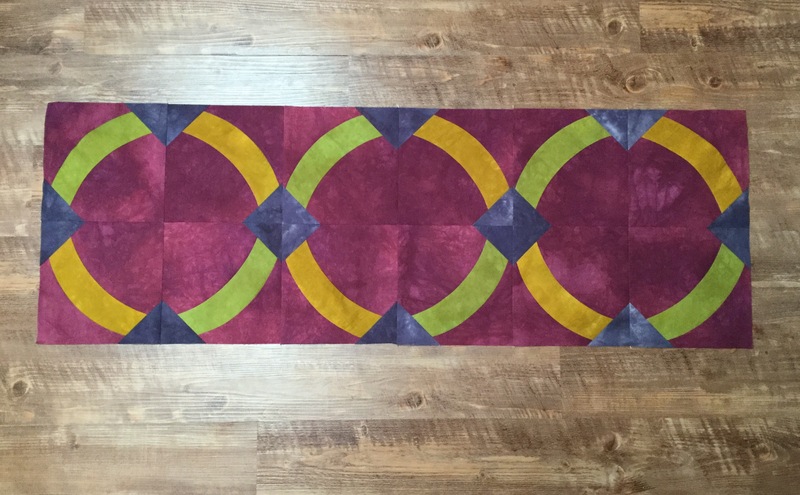 I’m not a fan of curved piecing, but I’ve been seeing a lot of great projects lately with curves. It looks really pretty–those colors are so lush! Wow! 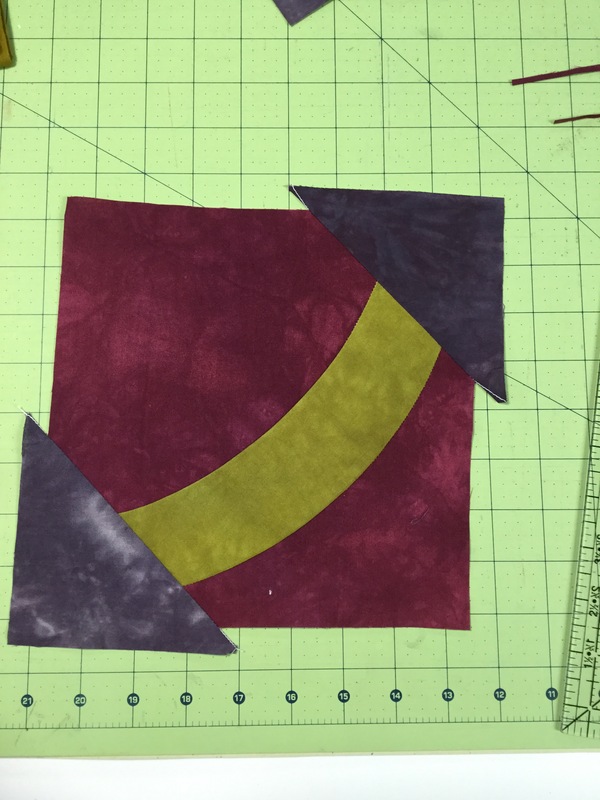 Curved piecing! Great to find a ruler that works. Really like the pattern and the lovely effects produced by the hand dyed fabrics. It turned out very nice! 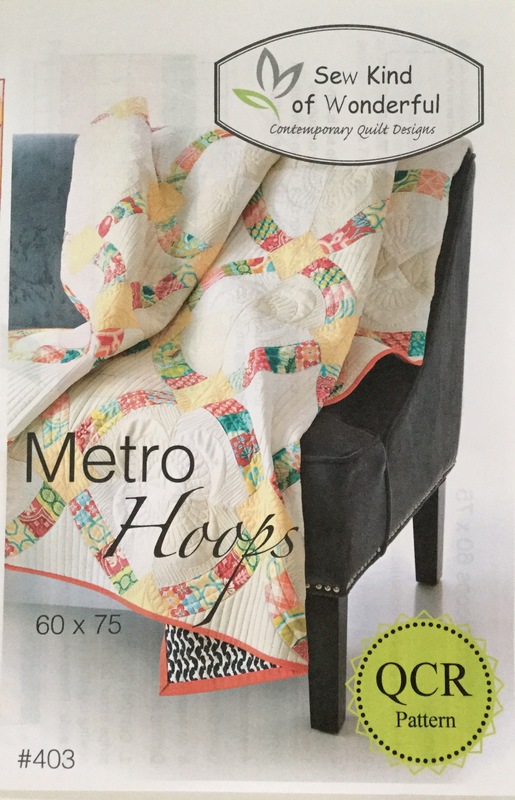 No one will notice the mismatches once it’s quilted! You are too funny! Sometimes I do the same thing with my thread!! Your runner looks great! I’m sure you will do something amazing with the quilting, which I can’t wait to see! Your hand dyed fabrics are gorgeous! Love this table runner! And I love your fabrics!! The colors are so rich! 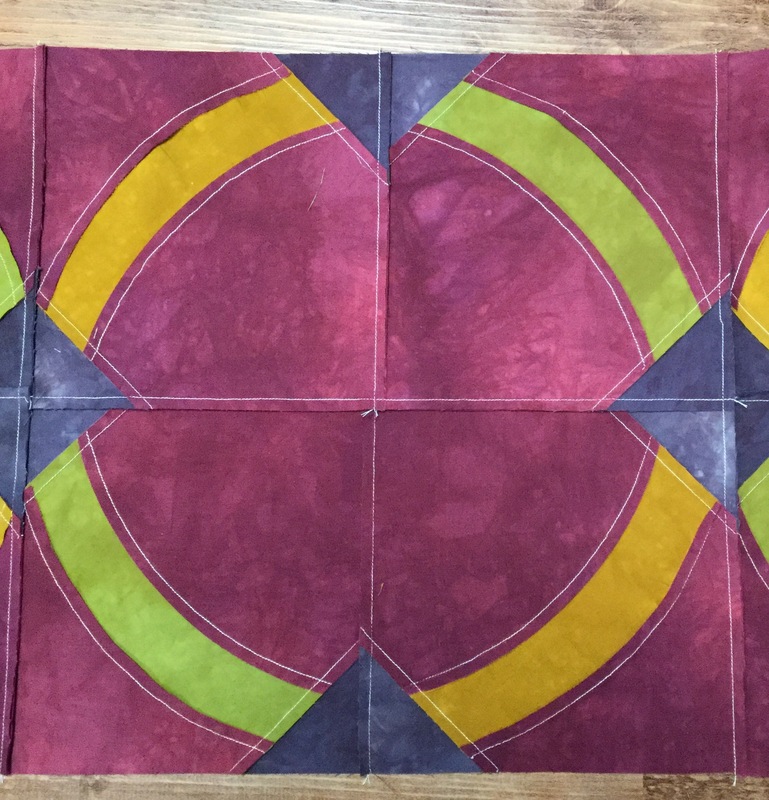 Cannot wait to see how you quilt it…. From a distance you can’t even see that things didn’t match up. 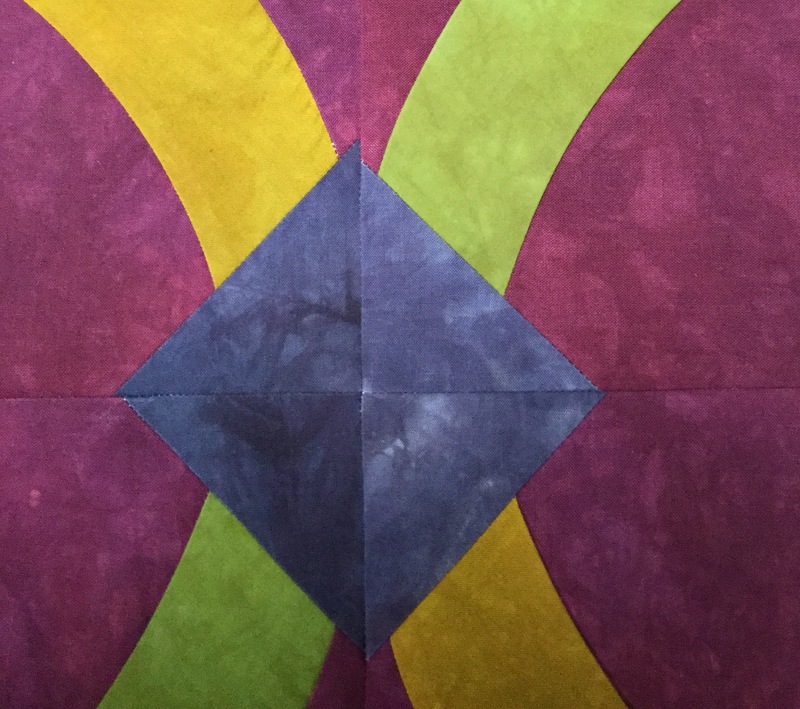 I love that about quilting! I’d like to learn how to hand dye fabric (on my bucket list) — your colors are wonderful. I like the pattern too! Nice! I really really like that runner! Would you mind if I copy that? I have the ruler I just need to download that pattern! I figured I would never make it as a quilt so hadn’t purchased it yet. But it is perfect for a runner. What size did it end up as?